The second edition of the Nigerian Professional Football League (NPFL) LaLiga coaching clinic for Nigerian youth coaches officially kicked off at the National Stadium, Abuja yesterday with over 50 coaches in attendance. The coaching clinic is designed to train youth coaches on how to properly develop and manage young talents using the LaLiga methodology. 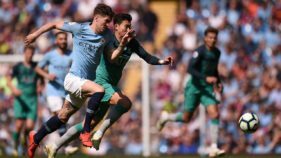 The five-day clinic, which February 11, officially precedes the NPFL U-15 Promises Tournament scheduled to start in April across different locations in Nigeria. 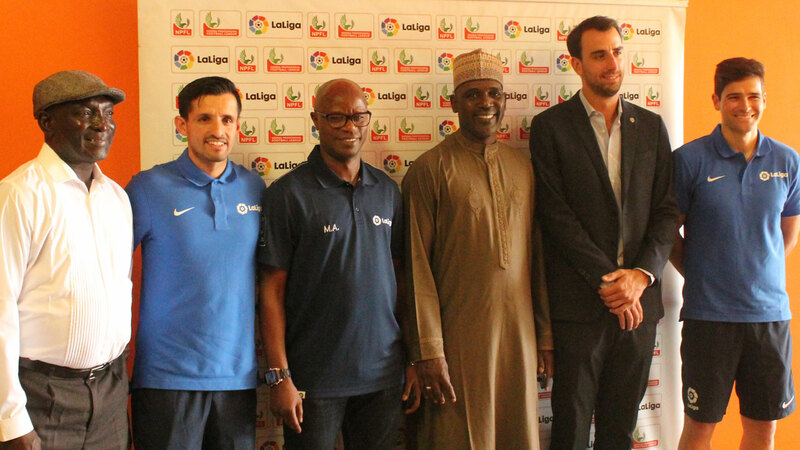 Present at the opening ceremony were League Management Company (LMC) Chief Operating Officer, Salihu Abubakar; Assistant Technical Director, Nigeria Football Federation (NFF), Coach Siji Lagunju; LaLiga delegate in Nigeria, Javier del Rio; LaLiga Ambassador, Mutiu Adepoju; and LaLiga coaching instructors, Luciano Martel Santana and Antonio Alvarez.